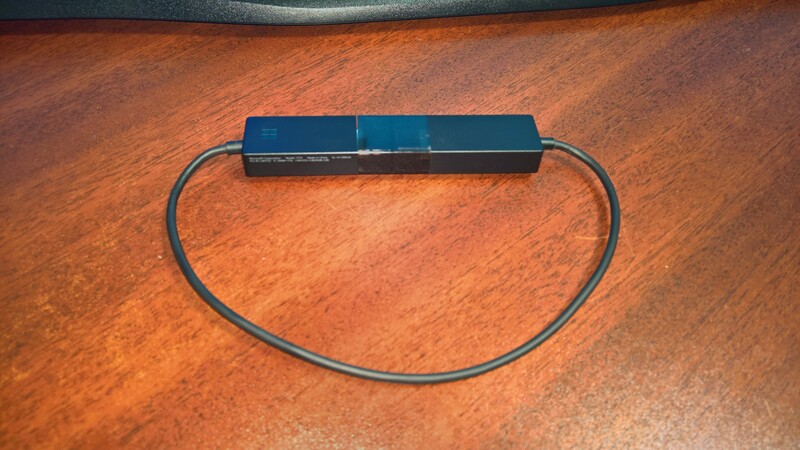 The original Microsoft Wireless Display Adapter was released in 2014 and has been part of my travel kit for some time. It was compact, functional, and was usable with Continuum on my Lumia 950XL, at least most of the time. In early March 2016, Microsoft introduced the Microsoft Wireless Display Adapter V2 (product page), a successor and improvement to their previous offering. With this revision Microsoft has made several improvements to the Wireless Display Adapter, both for Continuum and mobile users with other devices. Disclosure: This product was purchased with my own funds and was not provided by any manufacturer or vendor. 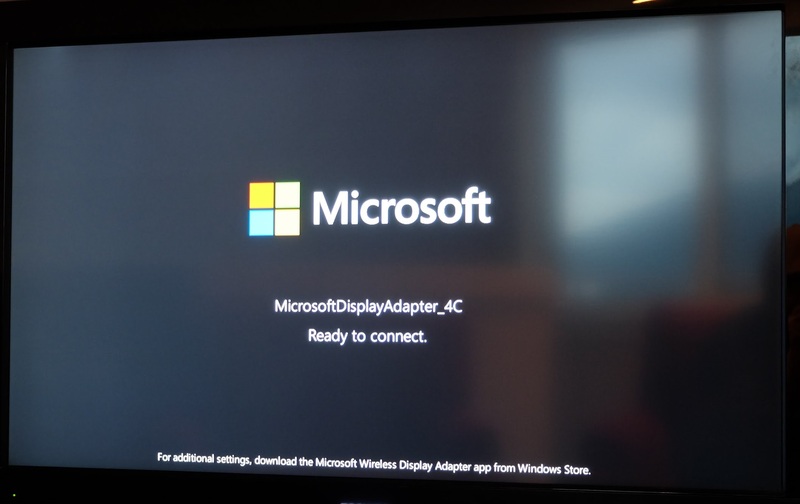 While the original V1 of the Wireless Display Adapter placed all the electronics in a single unit with a USB connector on a one foot wire, the Microsoft Wireless Display Adapter V2 has split the internals into two units and placed them on opposite ends of the wire. The benefit to the new design is that it helps ensure the adapter can fit behind monitors and televisions that are mounted to the wall. The new adapter ends up being around one inch shorter than the V1 adapter, but that can be made up with the included extension cable. The extension cable adds six inches to the adapter’s sixteen inch length, making it suitable for most TVs and monitors. Microsoft made an interesting choice with V2, providing a USB extension cable instead of the HDMI extension cable provided previously. 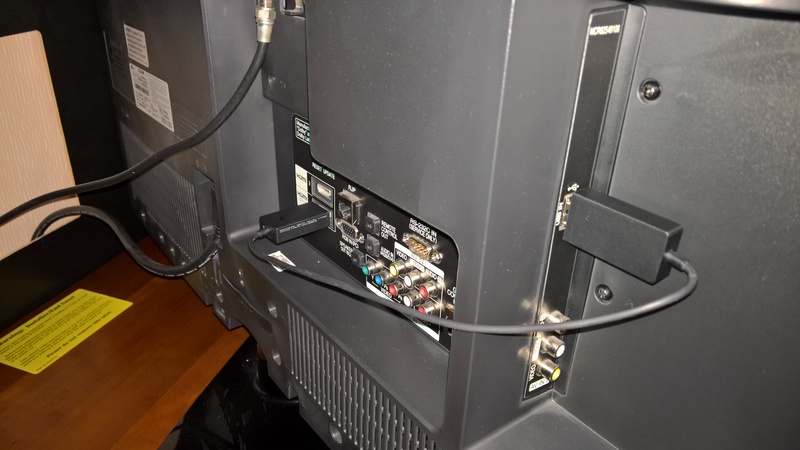 I’d say the choice was made because the larger size of the previous adapter required an HDMI extension for tight spaces behind TVs, where this one does not. This new screen makes it very easy to see which adapter you are connecting to (useful if you have more than one adapter nearby), as well as clear instructions on how to connect to the adapter (assuming you’re using Windows 10). One noticeable improvement (among several) with the Microsoft Wireless Display Adapter V2 is when using it with Continuum with a Windows 10 mobile Device, such as my Microsoft Lumia 950 XL. The V2 adapter has less lag when working with a phone in Continuum mode than the previous V1 adapter. I find the V2 adapter doesn’t provide any noticeable lag in my use. It’s far closer to the dock experience even with video running through Microsoft Edge, using both Netflix and Youtube in my testing. 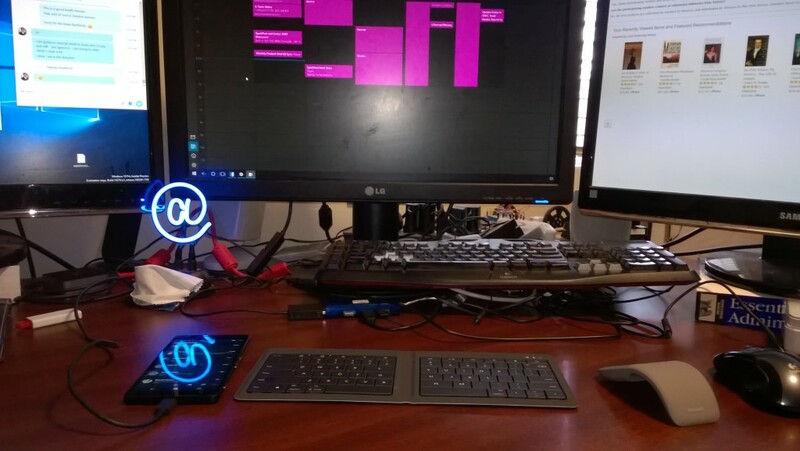 Using the V2 adapter, combined with my Microsoft Arc Mouse and Foldable Keyboard I have a very compact, lightweight workstation that can be attached to any HDMI display with a nearby USB port (and there’s always USB extension cables and Wall Chargers if you don’t have a port nearby). I was also able to use the V2 adapter with my Windows 10 laptop to wireless project to my TV without lag or any other issues. Where previously I used a longer cable plugged directly between the laptop and TV to send watch streams and video, the wireless adapter proved to be a much better choice, and being able to run the wireless display as a second stream made things easier when I wanted to watch a stream and catch up on some email, all without lag! 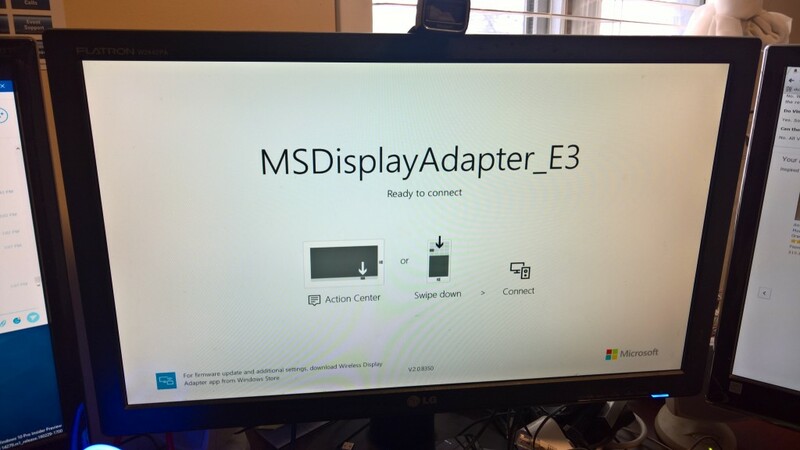 The Microsoft Wireless Display Adapter V2 is an incremental, but quite welcome upgrade to the previous V1 version. It eliminates the lag of its predecessor while assuming a form factor that is easier to use in cramped quarters like those found behind a wall-mounted screen. 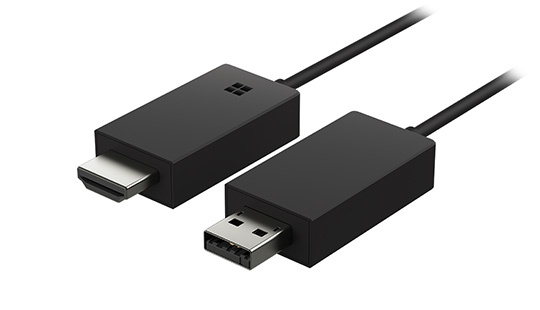 If you are using the adapter for strict display mirroring to watch videos and display pictures, the Microsoft Wireless Display Adapter V1 is on sale for $29.99 (available here) and may be more economical, but if you are planning to use Continuum with a Windows Phone or mirror a display for gaming or more interactive use, you’re better off buying the Microsoft Wireless Display Adapter V2 for $49.95 (available here).